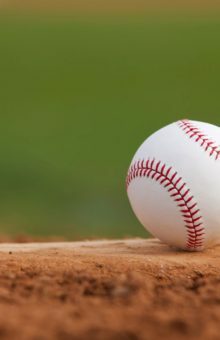 CLARKTON – Lee Barnes pitched a complete-game 7-hitter and struck out 8 batters to lead Clarkton School of Discovery to a 2-1 Waccamaw Middle School Conference baseball victory over Williams Township Thursday. Barnes did not walk a batter in the game and needed only 77 pitches -54 strikes – to record the win. The Aggies bunched 3 hits in the sixth inning to score their only run. However a throw from centerfielder Garrett Dunham to catcher Parker Greene to thirdbaseman Tragen McCullum cut down a runner at third base. The Blue Devils took a 1-0 first inning lead. Barnes reached base on a passed third strike, and Greene walked. Barnes advanced on a wild pitch and raced home on a passed ball. Samaj Dove walloped a 2-out double to centerfield in the Clarkton second inning, stole third base and darted home on a wild pitch for a 2-0 Blue Devil lead. Dove’s double was the only CSD hit in the game. Dove and Barnes scored runs. Coach Robert Mazur’s Blue Devils will host Elizabethtown Monday.